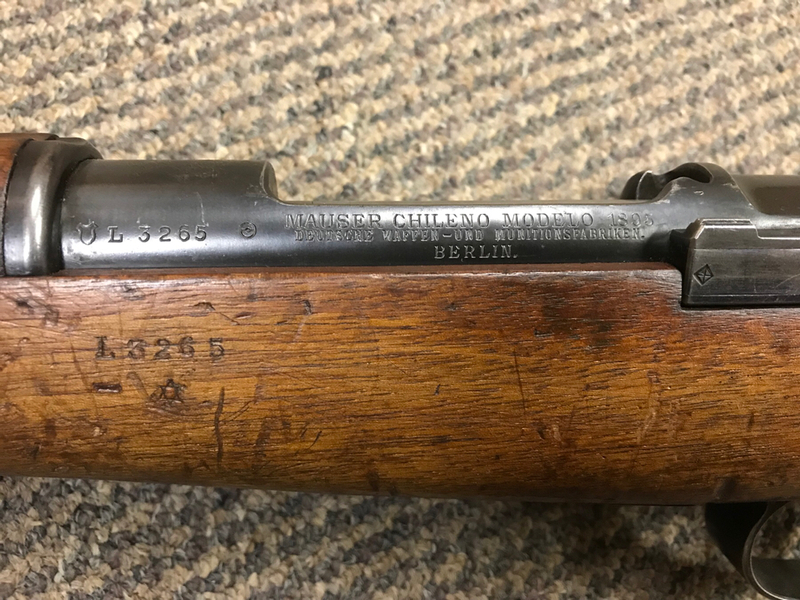 I recently acquired what I believe to be an original all matching 1893 Chilean Mauser that was originally meant for the Boers (C Block) to go with my 1895 Chilean Mauser which I have had for a few years. 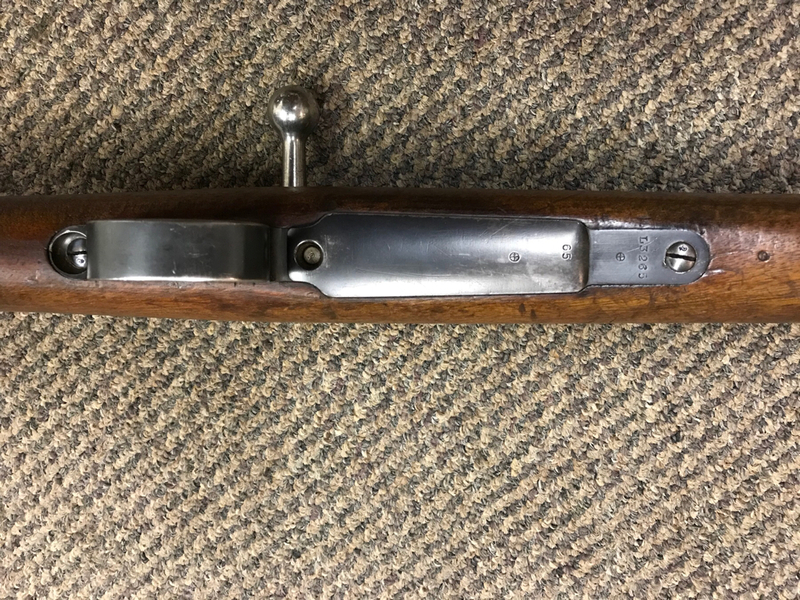 Curious if the sling on the 1893 is original and what the stipling on the stock is from. 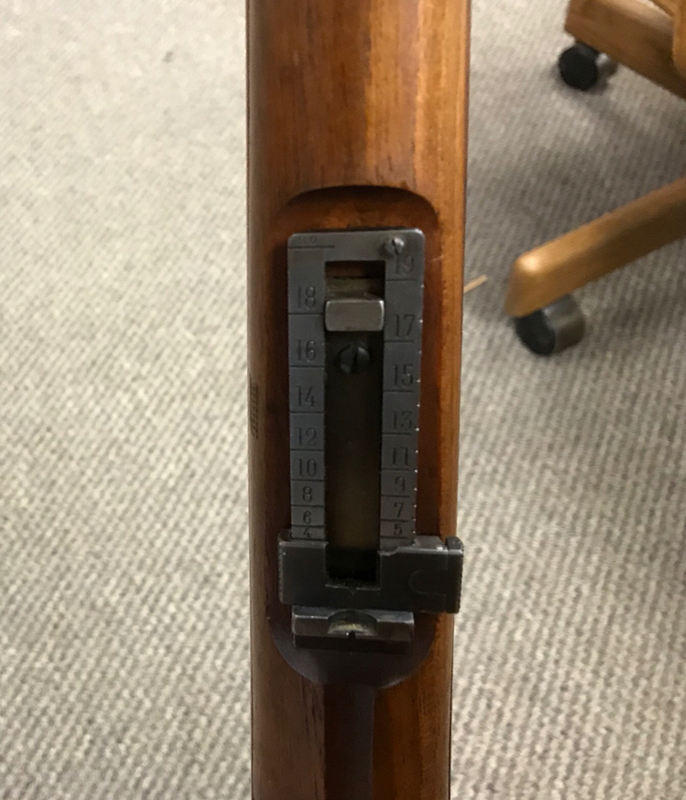 The 1895 is mostly matching but it is missing the cleaning rod, the safety doesn't match, and the rear sight is close, but the numbers are reversed. Also the crest and Cartouche seems different than that which is in Ball's book. 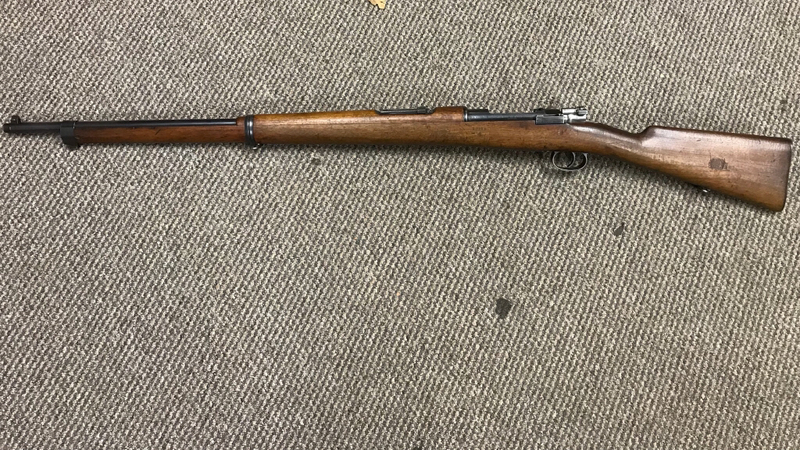 Also I am in search of Chilean 1895 Short and Carbine as well as 1912 Long and Short in all matching and original condition to complete my Chilean collection. If anyone has one to sell please PM me. Last edited by capt14k on Tue Jul 10, 2018 7:19 pm, edited 1 time in total. Beautiful rifles.. I would tend to think the safety may be just a factory error, those guns are so clean.. So what is the difference in your crest.. ??? I do not see a difference?? Crest in book looks to come to a point. Also Cartouche seems to have a date on mine. The sling is incorrect from what little shows. 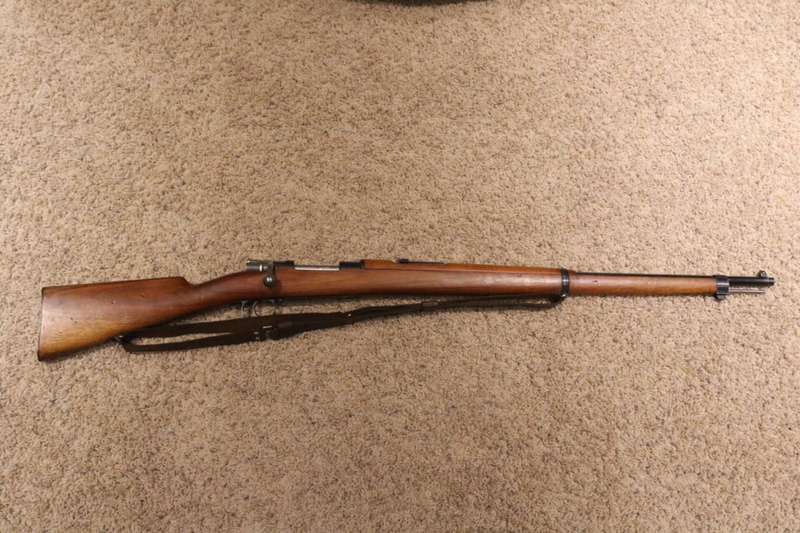 It appears to be a 1903 Springfield US sling. 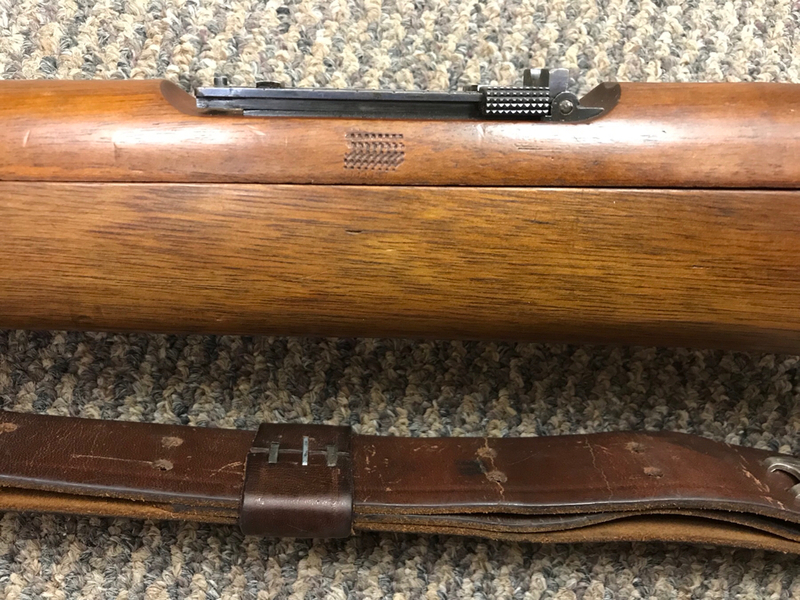 On my 1895 Chilean Mausers I got this type of sling with the rifles when Gander Mountain sold tons of 1895 rifles at $165 back around 2007/8???? But some also had a square buckleon a very old sling, so which one is correct is unknown to me. See this square buckle sling. Back in the day 2007, the rifles at the Gander store, about 30-40 rifles at each store had matching and non matching specimens some with and without slings. 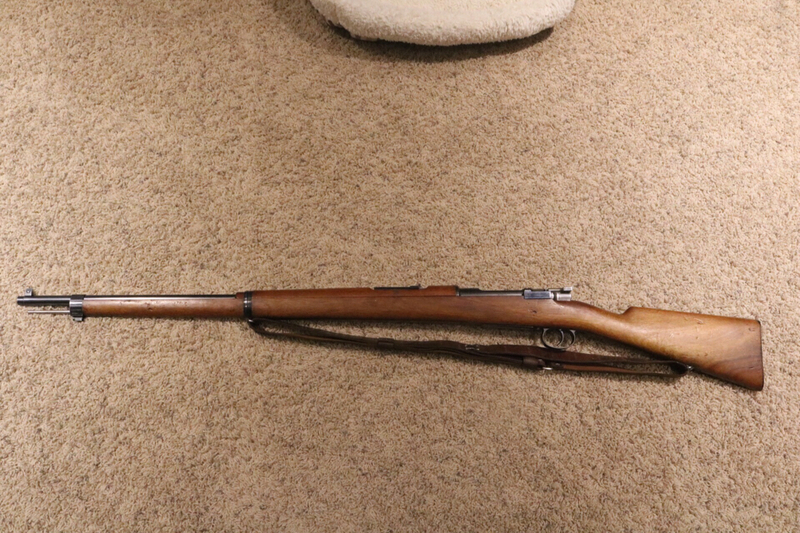 My two matching, 1895 long rifle, Chilean mausers had the curved buckle sling with well worn leather. 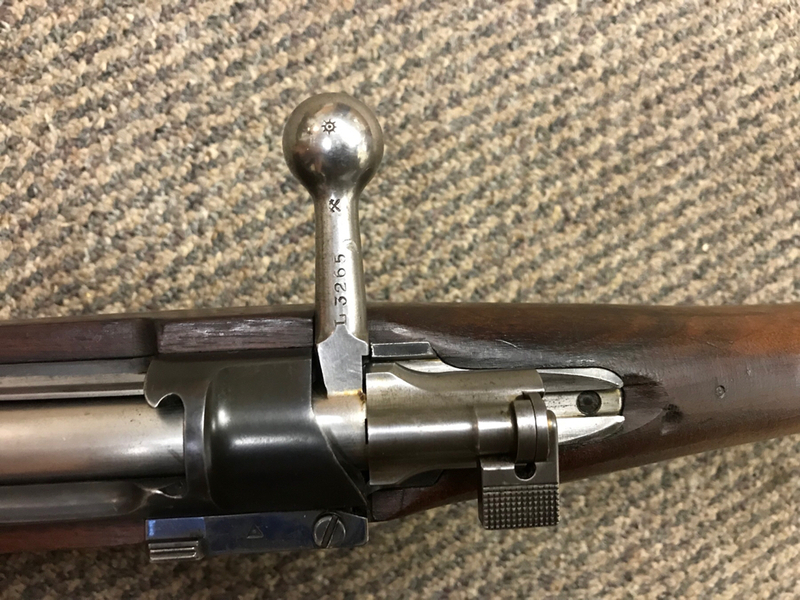 All rifles had cleaning rods. Now some of the dogs were converted to .308, most others were original caliber 7mm mauser. Both calibers were offered at that time. 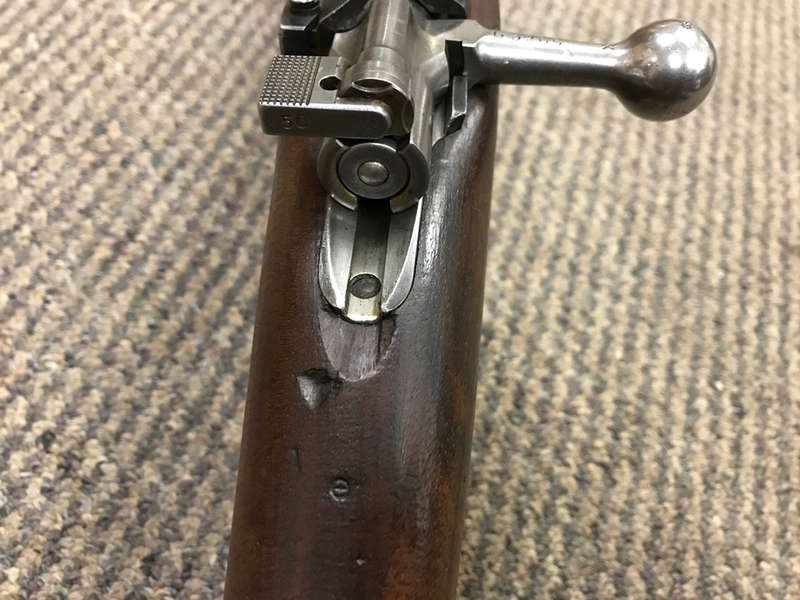 This came out , http://dutchman.rebooty.com/1895Chile.html , and all of the .308 rifles went to the Green bay store and were sold off to someplace due to possible safety/libility concerns around late 2009. I never saw any of the 1893 versions. So sling was added by someone. Thank you for the info. 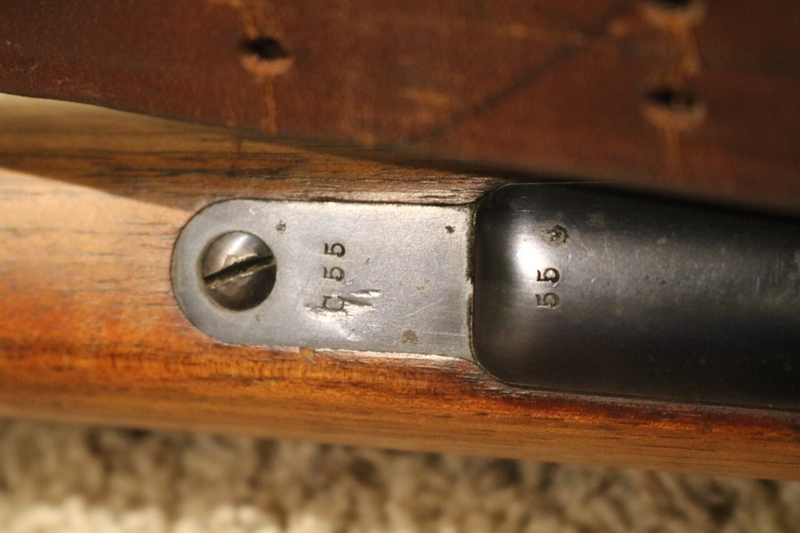 Everything else on the 1893 looks correct? How about the 1895? 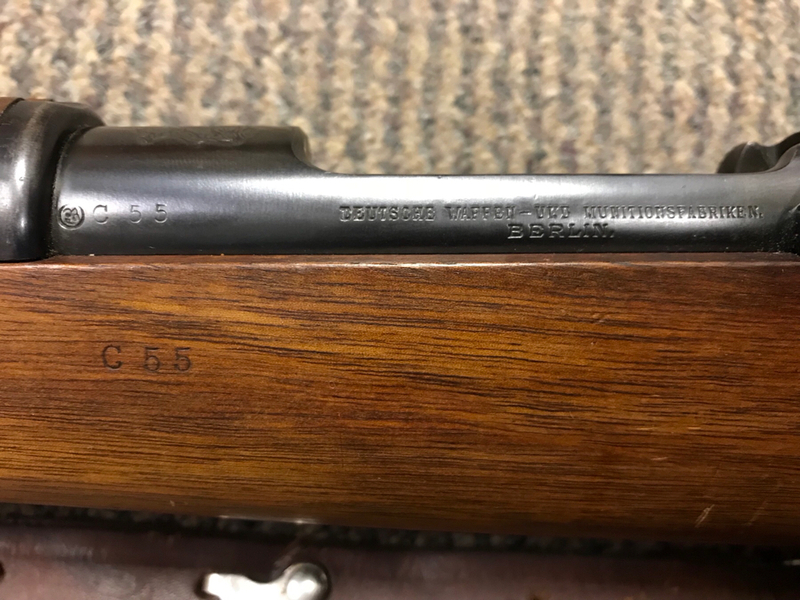 Here is a link to the libertytreecollectors reference library showing details of an intact rifle like Gander sold back in the day. 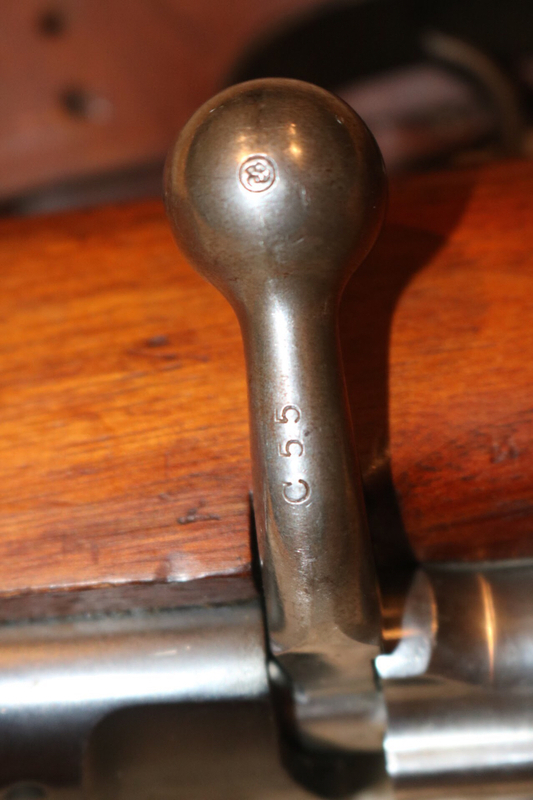 And another aspect was the non .308 specimens did not have import marks on the barrel. Neither of mine are import marked because I think they were considered antiques???? However the .308 I remember did have a mark on the barrel. Below are some photos of the details from the above source, libertytreecollectors. 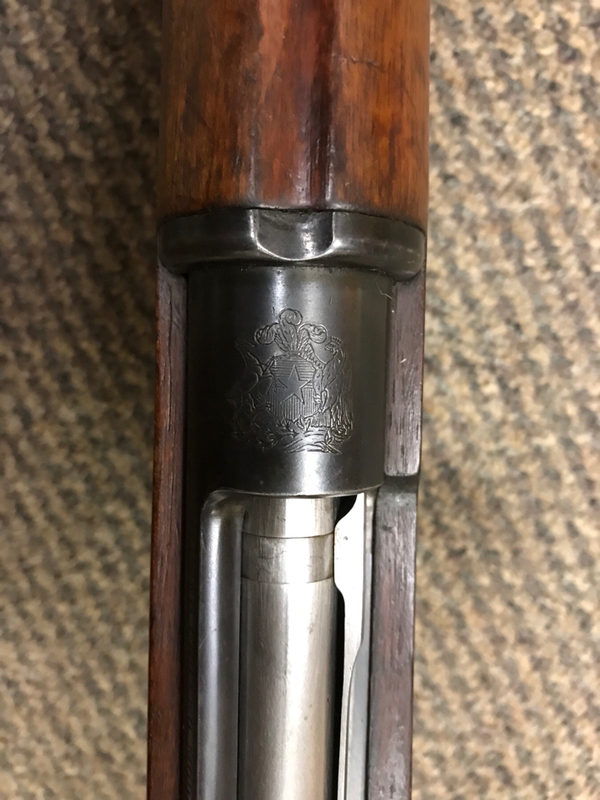 Screen shots of details in there better photos from their reference library for a 1895 Chilean rifle . 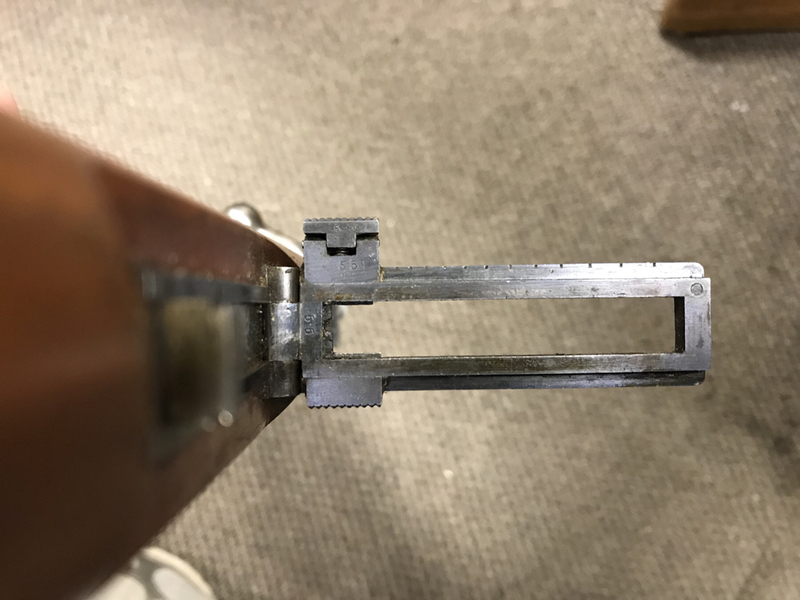 Years ago I went to SARCO and saw racks of M. 1916 7mm Mauser short rifles with these type slings. Anyone know when all the bolt parts started becoming numbered? They are numbered on my 1895 but not my 1893? Why does the crest in Ball's book look so different? 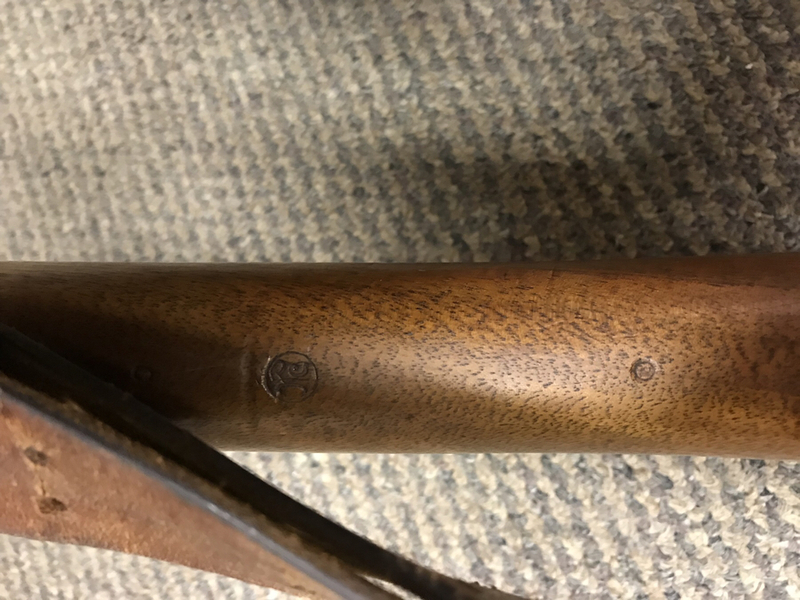 Do only some have dates under the stock Cartouche? 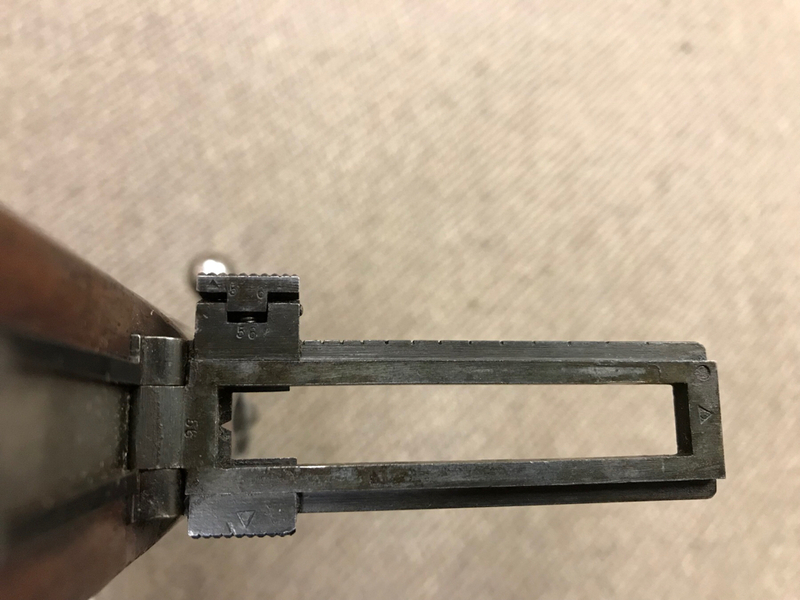 Seems both my 1893 and 1895 are zeroed to 300m and have the single side spring which would make them the older original 1893 sights according to Wall's chart? 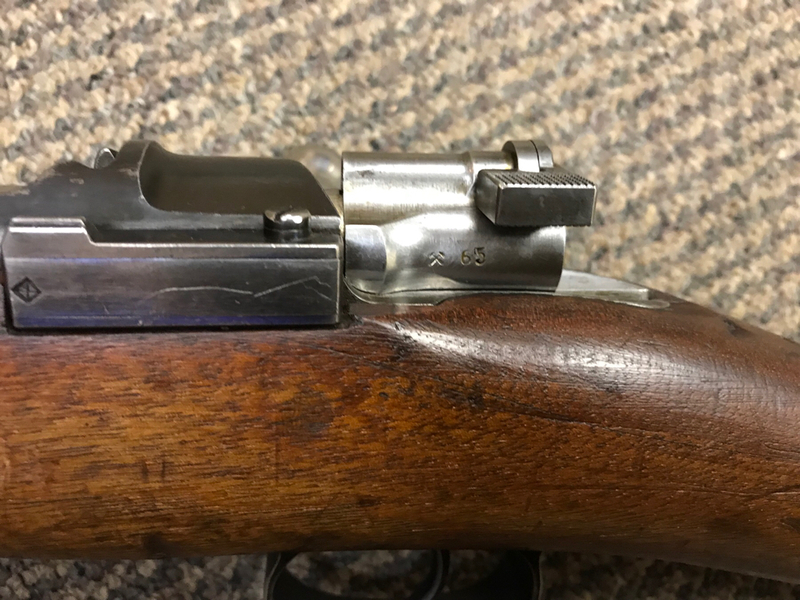 Any guess on the stock stipling on the 1893. 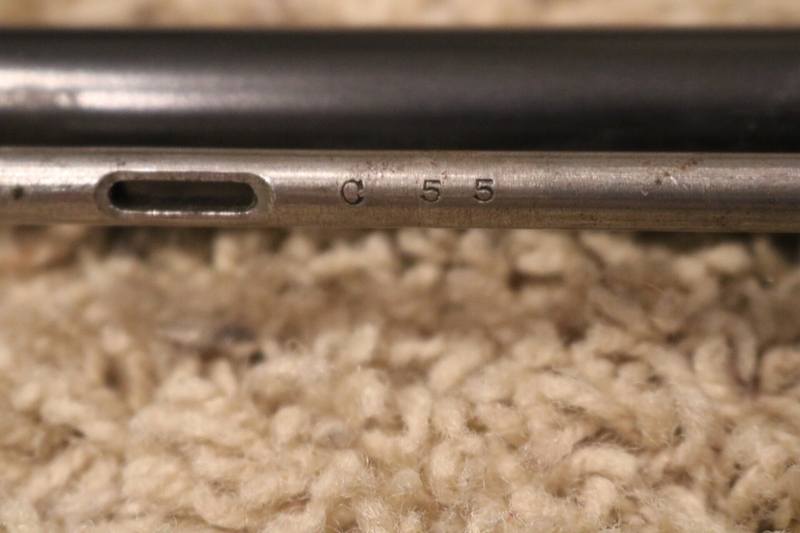 Doesn't look like the marks a firing pin from disassembling a bolt would make? 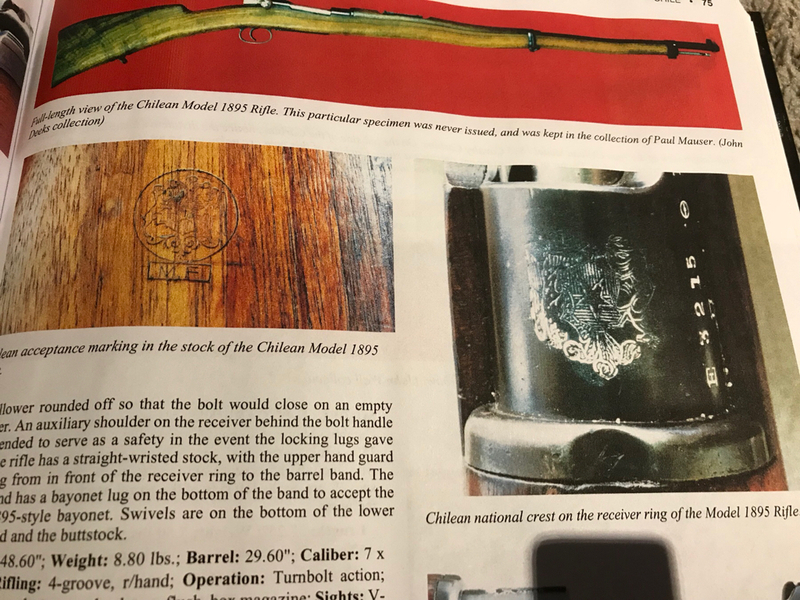 I am on page 39 of Balls, " Mauser Military Rifles of the World, second ed, 2000 and both pictures show the same crest . 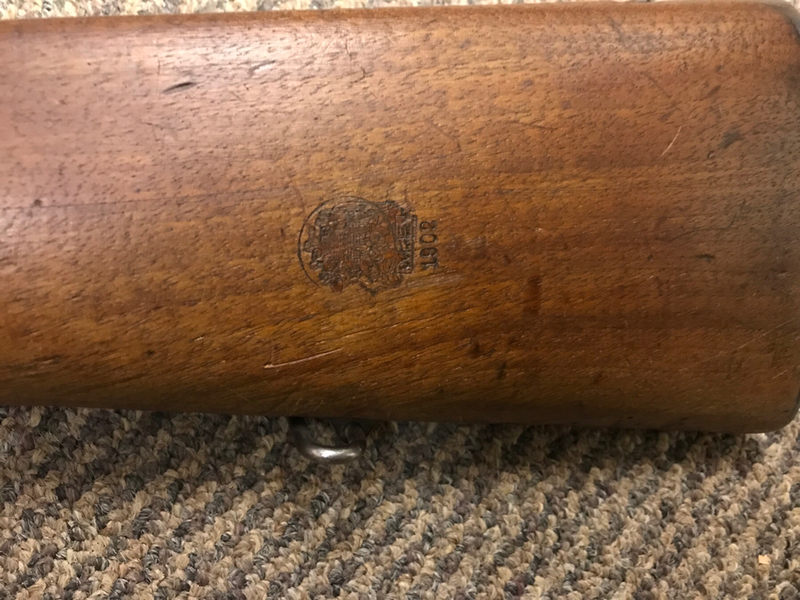 Just that the photo on the right of an 1895 rifle is from a poorly stamped example. A poor photo. 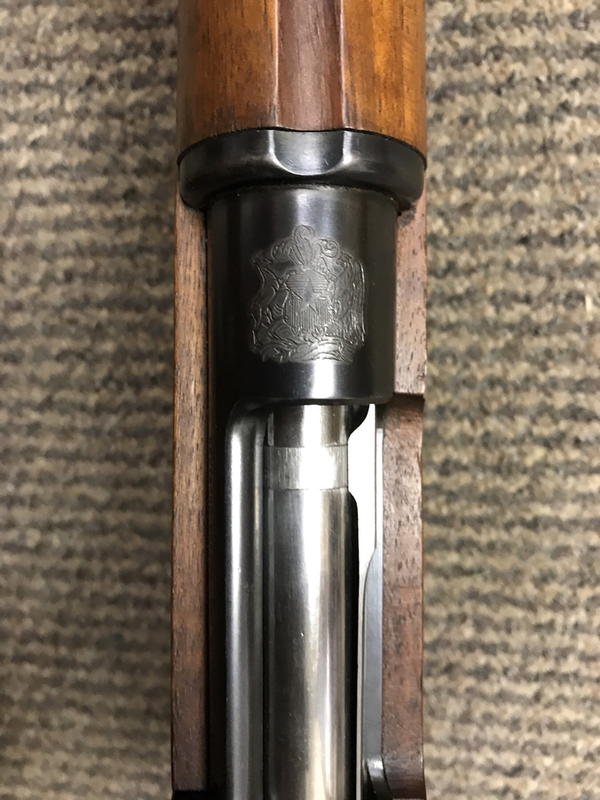 Balls 1893 crest is the same as the 1895 photo shown in my close up of the Libertytreecollectors rifle. 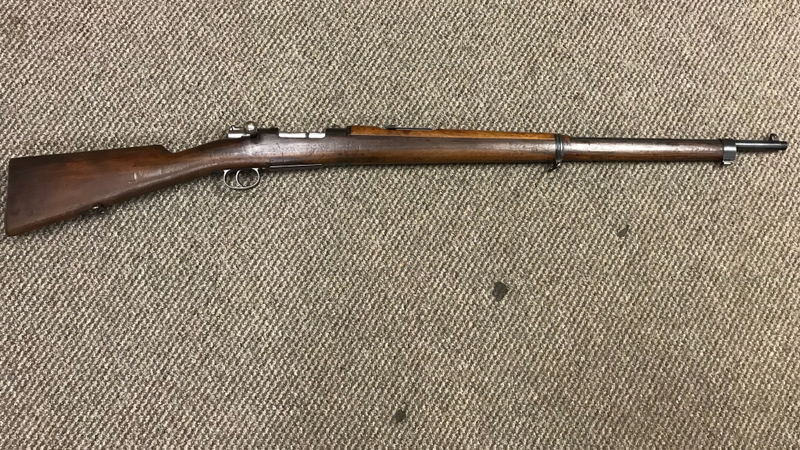 Some rifles have 1895, some 1898 and some MF, others may have other dates on the stock cartouch. On some stocks the cartouch is worn away. I guess it could just be a poor example of the crest. The 1893 Chilean is the same. This might be of interest. see link You may have read all of these?? ?